I hope you've all had an awesome Thanksgiving weekend?! I wish we had that here in New Zealand. I spent the weekend with some old friends at a wedding in the town I went to university at. It was so good to catch up with everyone! And now it's back to the working week! Well at least it will be in the morning. I'm linking up today with Jivey! Have you guys heard about the big sale yet? CYBER MONDAY! It's totally a thing. Head on over to TPT and grab a massive 28% bargain on some of the best teaching resources this side of the moon. I'm going to share with you a few things. Two things in my store that are wishlisted the most, and then one thing that is on my wishlist! My most wishlisted item is also my best seller! 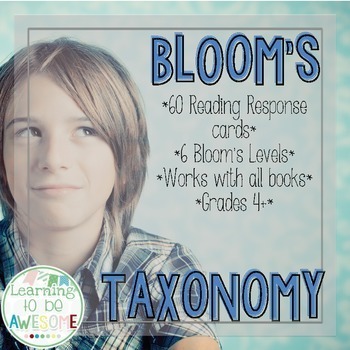 These Bloom's Taxonomy reading cards are AMAZING!! I use them with just about every reading lesson I take. There are 60, yes SIXTY, cards at the different higher order thinking levels. Each level is colour coded (or has a different monster if you need to print in black and white for ink conservation). I love these cards because of the independence they promote in my classroom. Don't just take my word for it though! Check out some of the feedback that has already been given on them! You can pick these up for a bargain at less than $3 for the next couple days. Strangely enough, my second most wishlisted item is brand new!! I posted this on instagram the other day, and people have added it to their wishlist like crazy!! 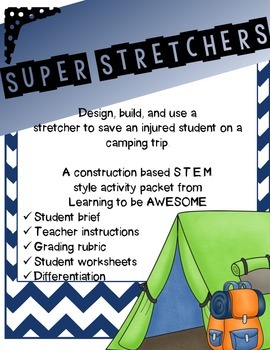 It's a great STEM activity, and will have your kids working, and learning, in cooperative groups to "save the patient" while on a camping trip. 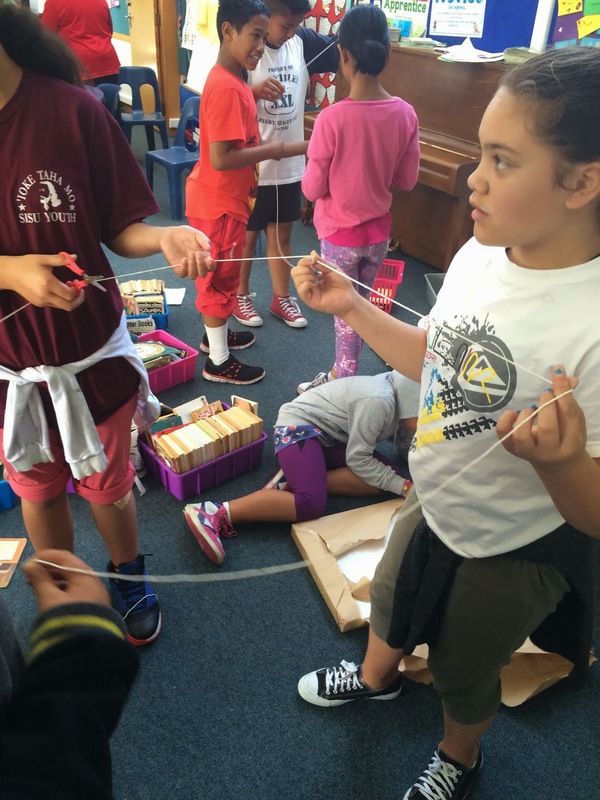 I love doing STEM style activities with my students. ESPECIALLY at this time of the year. I'm planning on doing one a day for the rest of the year - we are that close to summer! 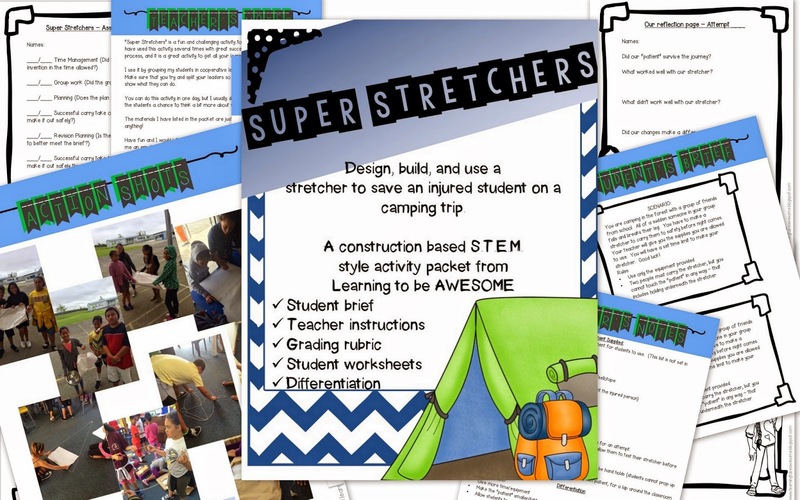 Inside you will find everything (except building materials) you need to complete this activity - Student brief/instructions, teacher instructions, planning and reflection sheets, and a rubric for afterwards!! I've included several different ways this activity can be differentiated to allow students from grade 3 upwards to complete! Here are some shots with my kids completing the challenge last week. And some shots of the product. And now something I'm super excited to get! 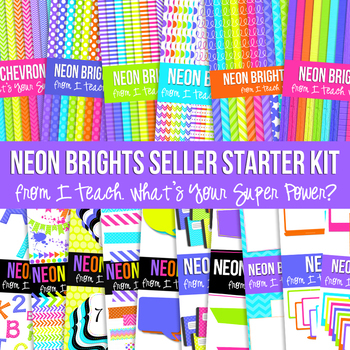 I didn't have anything on my wishlist until about 6 hours ago when Megan (from Teaching Super Power) posted up this Neon Brights design elements bundle. Now I have something I can't wait to buy!! Talk about super cute and awesome! Right - Head back to Jivey's blog and add in some of those other awesome things to your wishlist! I'm going to check out some other posts and see if there is anything I'm missing! Hi there everyone! My name is Jenn and I blog over at the blog Teach.Love.Autism. 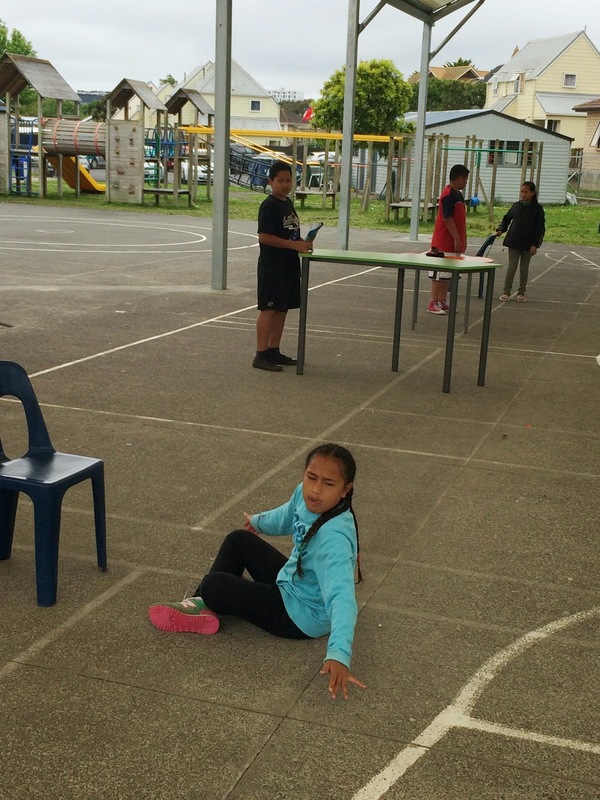 I have been blogging since last May and have really enjoyed the connections I have been able to build through blogging and sharing what I do in my classroom. Today I wanted to share something else that I use in my classroom and a product that I have created to help with this great resource. Every one of us works with our students on reading. Whether we are working on reading signs in the community or books, newspapers, or something on a cereal box our students need to know how to read as much as they can. 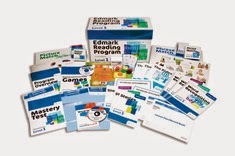 One resource that I felt has been super helpful with my students is the Edmark Reading Program. 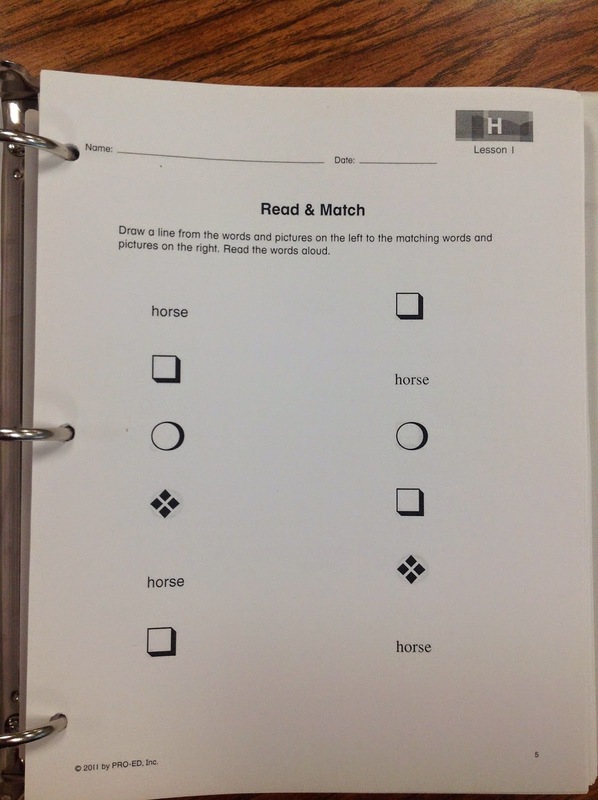 This program is an intervention based and discrete trial based reading program that works with students on sight words to build their abilities to read. The one thing that I really like is the ability to implement repetition with the students to build their accuracy in reading the sight words. It provides you with multiple ways to access the same information so that the students can be super saturated with the information which for students like mine that take a lot of experiences with it to put it into their "known" file in their brain is very important. The other thing that I like is there is tons of resources. Let me just show you a few, or maybe a ton! I apologize for the orientation. I tried to fix it and when I did the quality of the pictures were horrible. That to me, defeated the whole purpose of the photos! You need to be able to read what is on them! Anyways, so here they are sideways, backwards, and upside down! Sorry! So here is the program book. 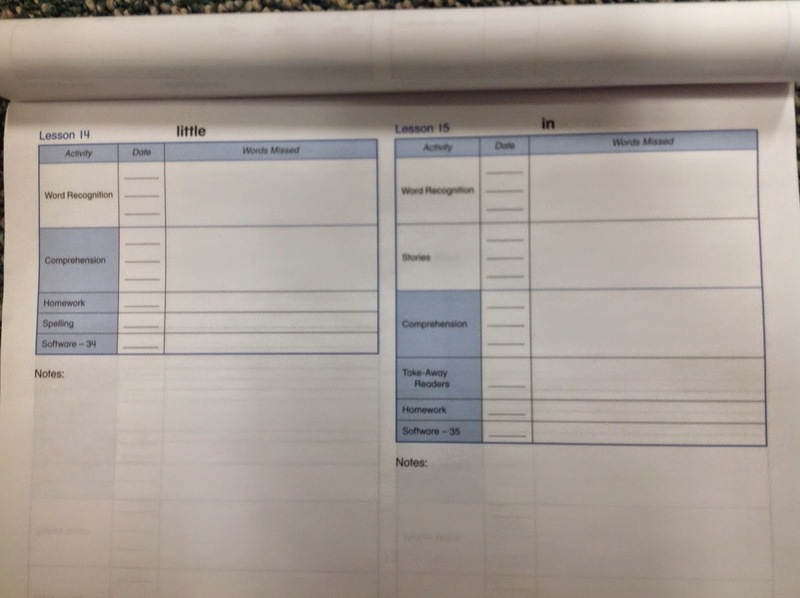 You of course need to use the mastery test of pre-assessment tools to tell you where to start and at what lesson for each student depending on their prior reading ability. Once you have done that you use this book which is super easy to follow as a teacher, paraprofessional or a parent helper in your classroom. It tells you what less you are on and the activities that are available within that lesson. You can keep anecdotal records and dates of completion on it as well. This is an example of the Word Recognition piece of the lessons. 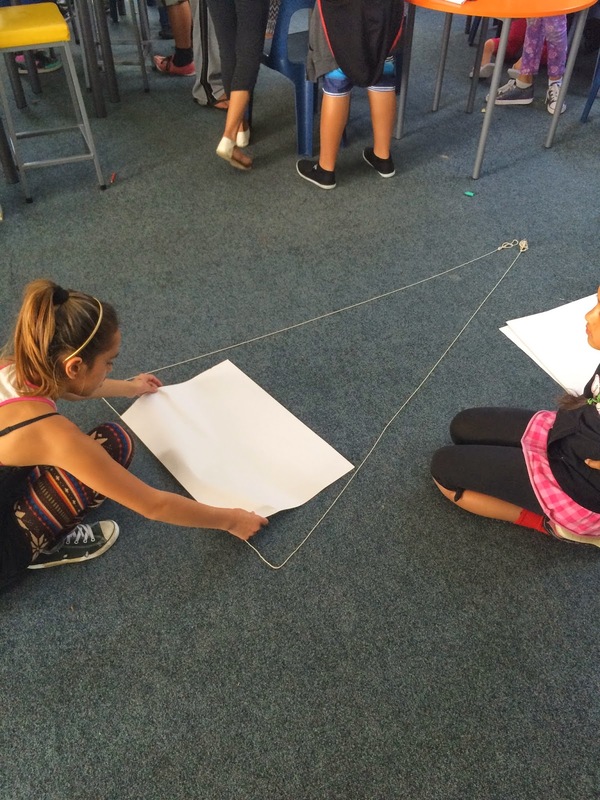 This is there for every lesson to do with the students. 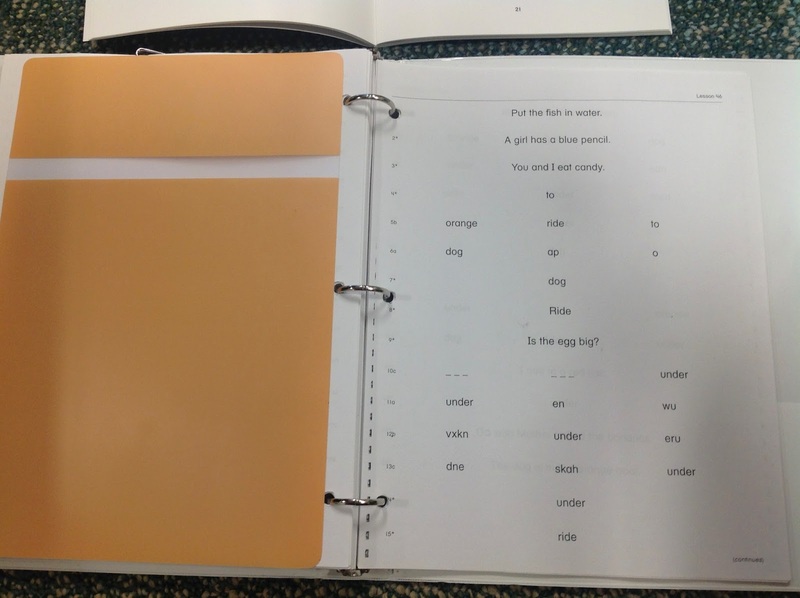 You use the orange cover to only show one line at a time and you work through the pages asking the students to read them, find them, or repeat them. This is the discrete trial training model that the curriculum has. I think it is super effective. Even if you have students that learn patterns really quickly. No lesson is the same so you don't have to worry about a student memorizing it! This is the Stories section. 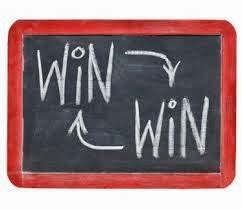 There is not always a story for each lesson but, when you get a story the nice thing is that it only incorporates words that the student has mastered in other lessons. So, no new words will pop up on you. This makes it more predictable for students and easier to read. This is called Picture Match. This is with a lot of the earlier lessons but, still mixed in throughout the higher ones too. 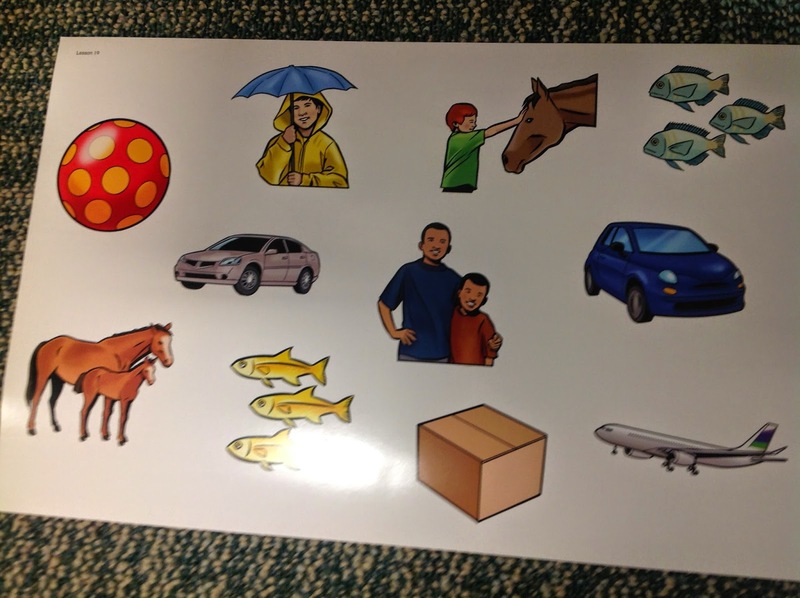 The student has to take the board, read the words and then on the next picture below use the picture cards to match to the words on the board. These also get harder as you get into higher lessons. 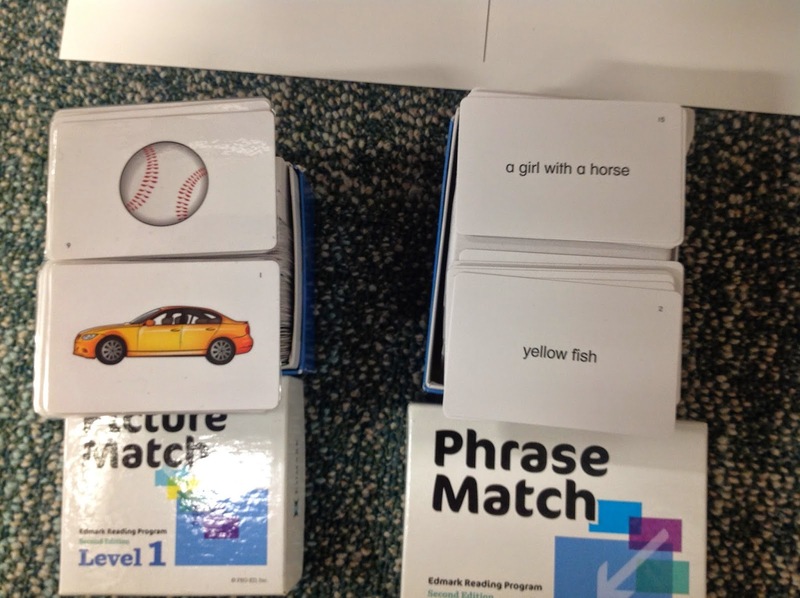 Here are the Picture Match and Phrase Match cards. Both sets are super useful with the boards. The picture below shows you what the Phrase Match cards go to. The board has all pictures on it in a reverse style set up so that it assesses students ability to do skills in different ways! LOVE IT! Then we come to the extras! There is another piece to Edmark Reading Program that can be purchased seperately. I got these materials on a jump drive that can be downloaded onto my laptop and be shared with others. This was very nice to have. Then your district doesn't have to buy a set for each teacher! This is an example of the Spelling component. 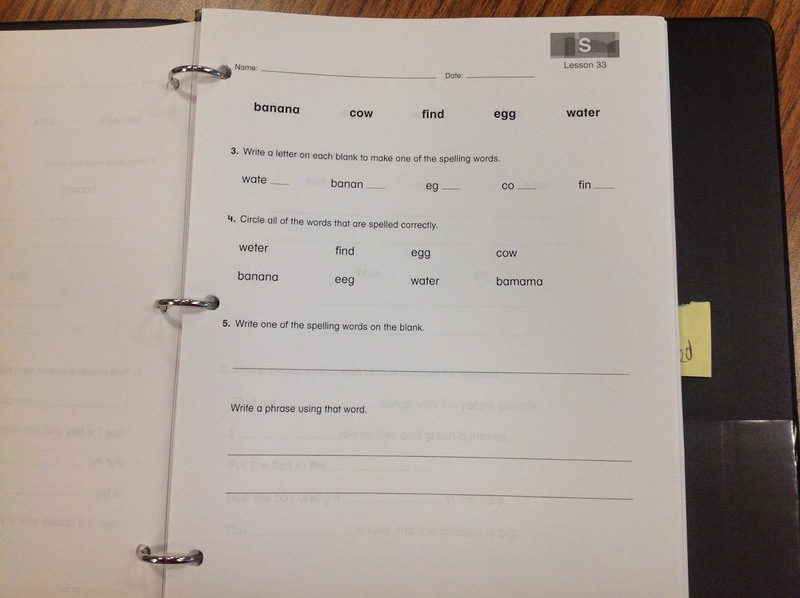 The students have to follow the directions to practice not only reading the words but, spelling them too. These are called Take Home Readers. 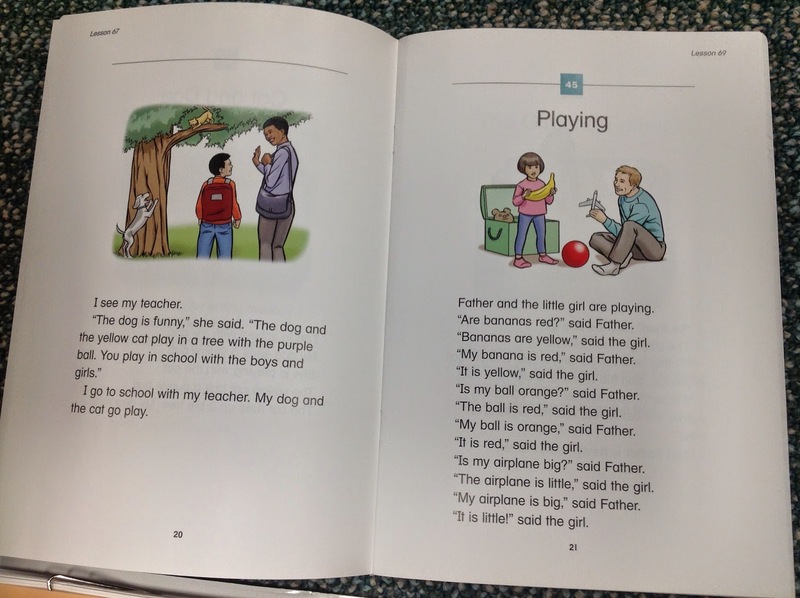 They don't have to be taken home but, they are small decodable books that have comprehension questions with them that can be read by the students and answered. The words again aren't any harder then the lesson that the student is on. 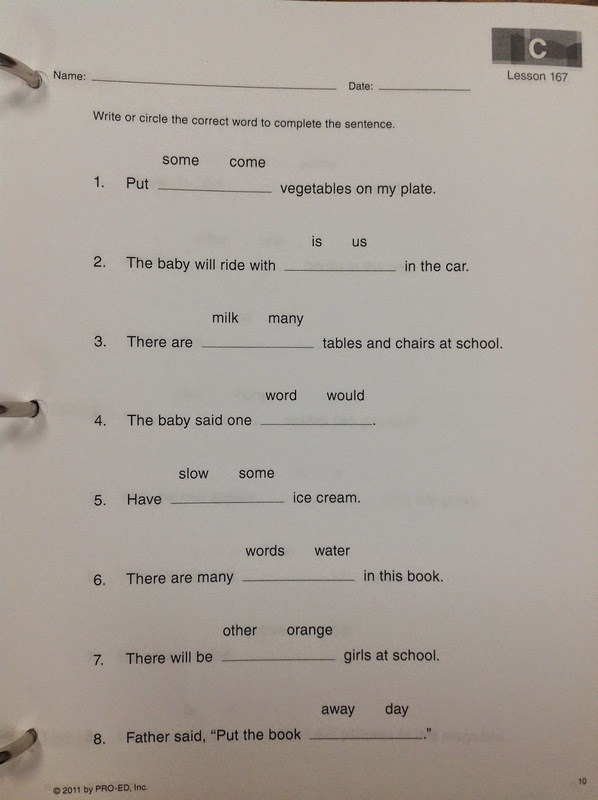 Another great piece to the extra resources are the comprehension worksheets. There are two examples here. The one above shows the easier or earlier lessons where the students do a lot of picture matching and small sentence reading. 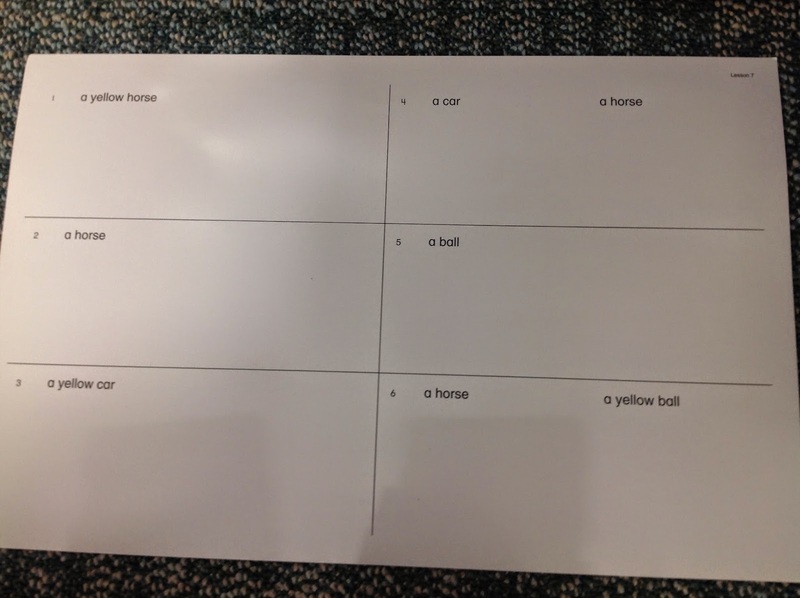 The picture below shows how the students have to find which word fits best into the sentence without picture support which for my students can be much harder. Lastly, the picture above and the two pictures below are considered Homework activities. These are things that could be sent home as homework. I am not as much of a fan of these but, I think that is because the students I work with are older and feel like they are too easy for them. I'd be more likely to send the comprehension, spelling, or take home readers home for homework then this. I can see where it has it's benefits though. 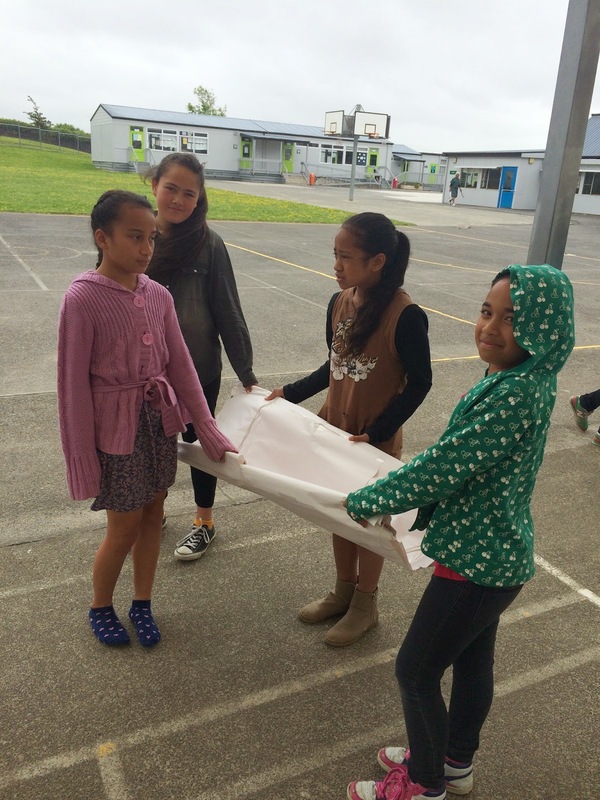 Well, I hope that I provided you with some insight into Edmark Reading Program and shown how it was really been a great resource in my classroom. There is a second level to the version I have shown you with even harder words and concepts. There also is another program called Edmark Functional Words with more things likes grocery, job skills, restaurant, and community type words. With the same style and format of this program. Just got that and plan to let you know how that works too in the near future. In the meantime, there was one thing that I found when using Edmark that I still needed that the program did not provide. I had students that struggled with remembering some of the sight words so I created a product and it is available on TPT. 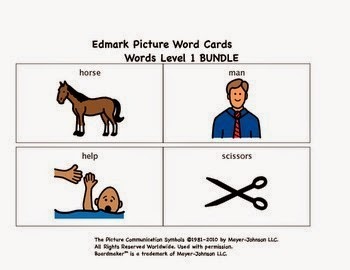 It is called Edmark Picture Word Cards - BUNDLE Here is a little sneak peak at it! Also, due to the upcoming holiday, from Friday November 28th to Sunday November 30th all products in my store will be 20% off! So get it now and save some money! Just a quick check in today - just wanted to share something that made me excited today. I'm on the ICT team at my school. We are in the process of developing our vision/policies/wishlist at the moment. As part of this, myself and two other teachers headed to a school today to see what they are doing with digital technologies. It was so good to see what others are doing, and has given me a new fire for integrating technology in my programme. These kids were so articulate about why they were using the technologies they had. 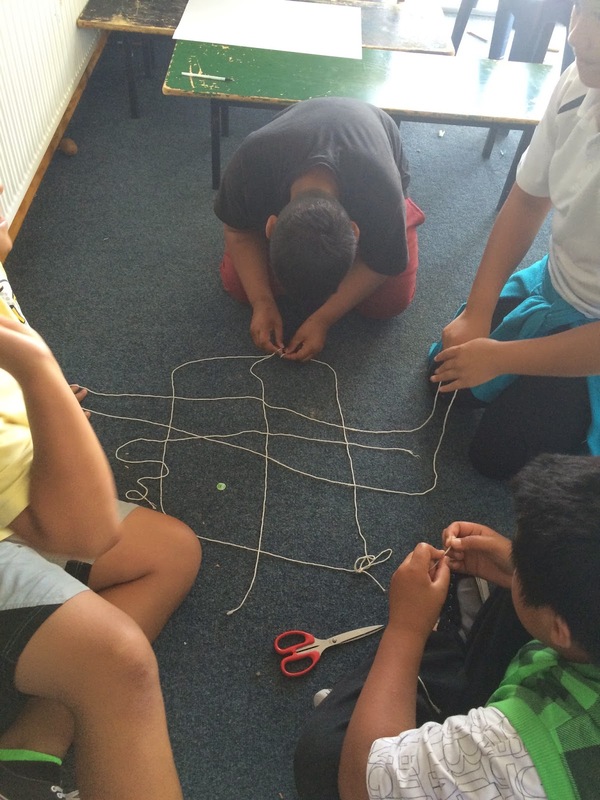 Not only that, but I could see that they were all engaged in the learning! Next step - get my students some chrome books! What technology can you not live without - let me know what you have, how you use it, and what grades you teach. Hello! It's Suzy from On The Go Teacher Mama and I am super excited about guest blogging for Erin today. I'm in my eleventh year of teaching, mostly in 2nd and 5th grades, and I especially love teaching math. I also really love using technology with my students. I use various types of math stations during my math block so that I can keep students meaningfully engaged while I work with my intervention groups. I often have one station at the interactive white board, at least 1-2 skills or fluency games, task cards and fun practice pages. 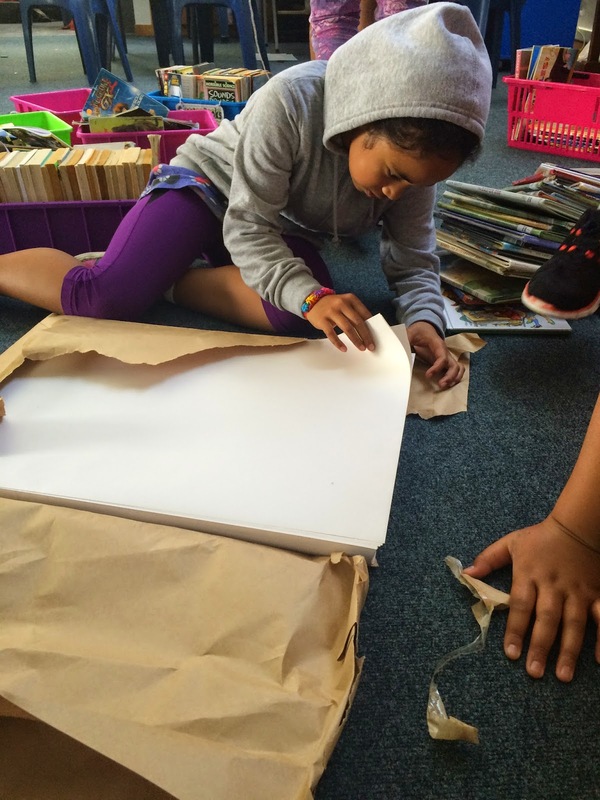 The kids love the activities and games but one problem I have is getting kids to care about the quality of their work. The other problem I have is how much work I have to check and return to students for corrections each week. Here's where my love for technology and my need for student accuracy meet: QR codes! I'm sure you've heard of QR codes and most likely have seen them all over stores and ads. I even saw a QR code on a scarf tag today. A QR code is basically a more dynamic type of bar code. It can hold text or links to websites and videos and stores use them to give consumers coupons, information about their products or links to their websites. 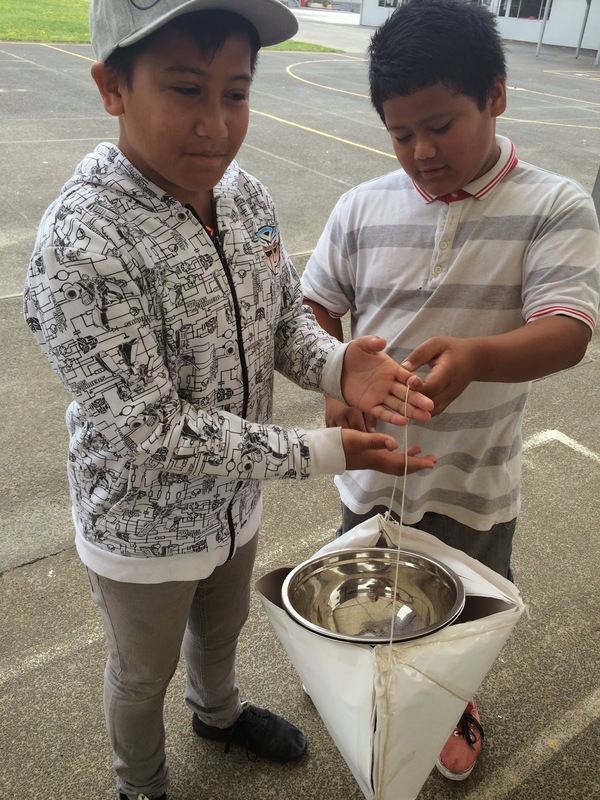 They also have many uses in the classroom. 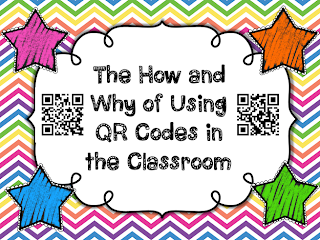 This Ted Talk inspired me to do more with QR codes in my classroom. One of the main ways I use QR codes in my classroom is on task cards. My favorite way to use QR codes on task cards is to have students scan them to check their answers after they have written them on a recording sheet. 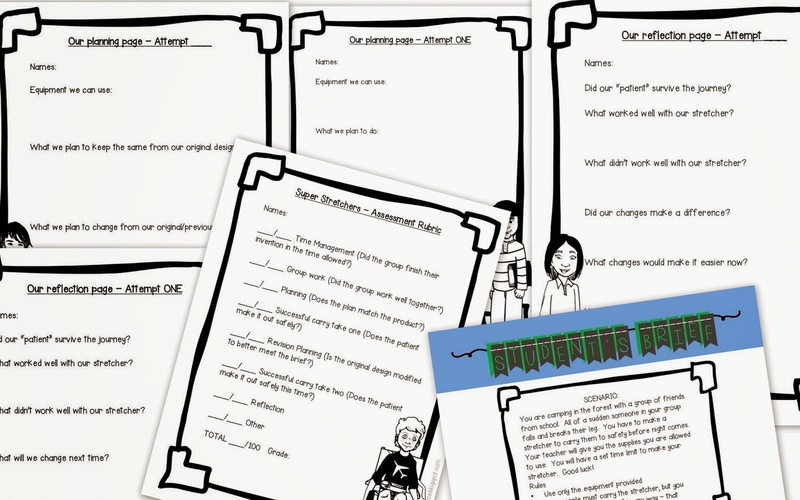 This helps students by giving them immediate feedback on their work. They can instantly know if they are on the right track or not. No more waiting around until I can get their work checked for feedback! The other way it helps students is by providing motivation to complete their work with accuracy. In my classroom, you can hear students whispering "YES!" when they get something correct. I really love to hear that! 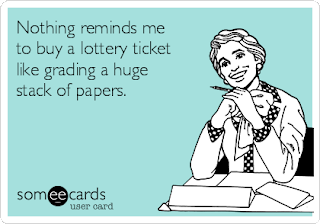 I also really love having less papers to grade! You may be saying to yourself that this is all fine and dandy with a classroom full of iPads, but how can I do it in my classroom? I am fortunate to have recently won a grant to get 14 iPad minis for my class, but for the past three years I have had ONE device in my room. So, if you can get your hands on ONE device: an old iPod Touch or iPhone, an iPad, or other type of tablet, you can use it to scan QR codes. 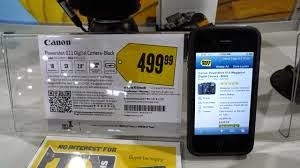 All your device needs is a camera and an app for scanning text-based QR codes because they don't use the internet. If your school has wireless, you can do even more! This is my favorite app to use because it is simple and catches the QR codes quickly. It's called i-nigma and it's FREE! Setting up a station is easy. All you need to do is print, cut, and laminate (if desired) your task cards. I like to mount all my task cards on black construction paper to make them more durable so I can use them for years. Then I copy the recording sheets for the students and put everything in a gallon size zip top bag. This is a great way to store your task cards because they are fairly flat and can be organized in a filing cabinet. I simply place a labeled divider between each section and sort them by concepts. You can also label the bags by skill or CCSS for your reference. Next, you need to teach the students how to scan a QR code. Most students can take pictures with their parents' (or their own!) phones so they're half way there. Just open the app, align the camera with the QR code and BING! you've scanned a QR code. If you scan a text-based QR code, the text will show up on the screen. If you scan a web-based QR code, you'll have to tap on "Go Online" to take you to the website. It couldn't be easier! You can set up a scanning station at a designated spot in the room or give out devices as students finish their work. One teacher I work with asked me if I was worried about kids cheating by scanning the QR codes before they did the work. I told her that this is the one time I allow kids to rat each other out and I have never had a problem. They hold each other accountable, believe me! Here's an example of some upper elementary task cards with QR codes that you can use to practice Multiplication with Mixed Decimals. 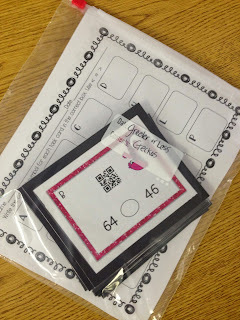 For many more math task cards with QR codes, check out my TpT store. 2+1 Cyber sale! My wishlist!! 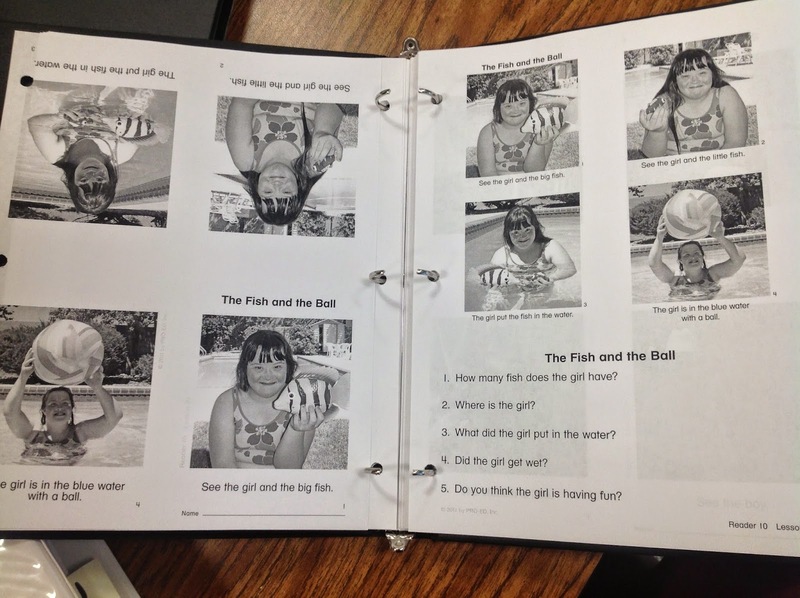 Guest Blogger - Jenn from Teach.Love.Autism! 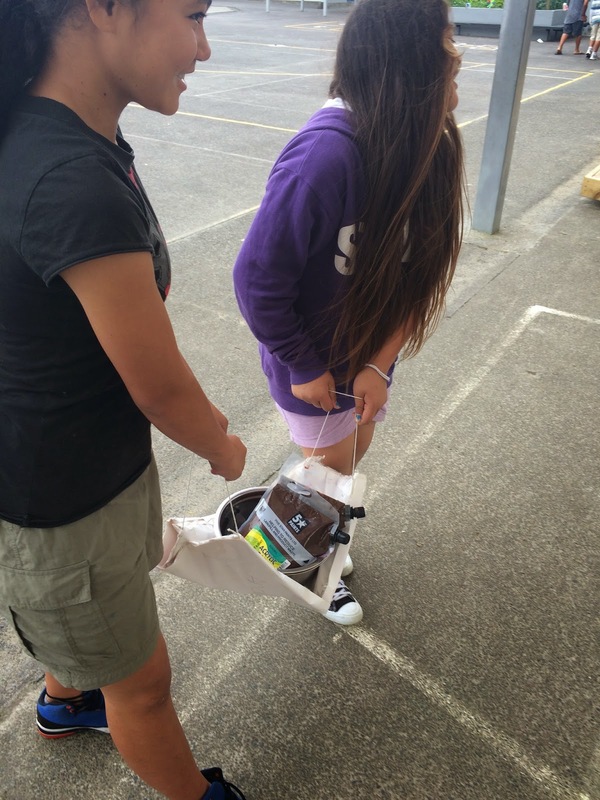 Guest Blogger - On the go Teacher Mama! You Oughta Know - November!! Make it real - And then they'll write! Wanna be a guest blogger?